If Social Security benefits increase, will they rise enough to give beneficiaries more money in hand? Expert Larry Kotlikoff answers this question, along with others from readers. Photo by Flickr user 401(K) 2012. Gwendolyn Miller — Wilmington, Del. : I am 73 years old, still working, and have been collecting my Social Security since age 65. I plan to fully retire this year and want to know: will my Social Security monthly amount increase? Larry Kotlikoff: If your highest 35 years of covered earnings have continued to rise because you’ve continued to work and get raises, as I recently urged, your benefits have increased. But once you retire, you will no longer be raising what’s called your Average Indexed Monthly Earnings (AIME) computed (as I said) on the basis of your 35 highest years of covered earnings. Your monthly check will, however, continue to go up if the Consumer Price Index does. That’s because of the automatic inflation adjustment that’s part of the Social Security formula, the inflation adjustment President Obama has recently offered to make less generous by tweaking the formula to account for consumers substituting cheaper goods and services for more expensive ones. As of Jan. 1, 2013, your Social Security check increased by 1.7 percent to reflect inflation. Currently, inflation is running at an annual rate of 1.5 percent over the past 12 months; 1.4 percent if the President’s proposal of the so-called “chained” consumer price index (CPI) is used instead. If it remains at the current rate of inflation, you will get another cost-of-living adjustment (COLA) of 1.5 percent in 2014 — or 1.4 percent if the chained CPI should by some chance become the measure. Bob D. — Southport, Maine: I’m 59. My wife of 16 years died four years ago at 68. I’m still working and plan to continue, though making less than $15,000 a year. Can I apply for survivors benefits? How do I do it, and what percentage of her benefit would I receive? Larry Kotlikoff: First, I’m sorry for your loss. Second, you can apply for survivor benefits starting at age 60. But take heed of what has come to be my almost weekly warning in this column: survivors benefits will be permanently reduced if you take them prior to full retirement age. At your full retirement age, your survivors benefits will equal your wife’s full retirement benefit, assuming she died prior to full retirement age, but before taking benefits. If she was taking benefits and you wait until 66, you’ll get what she was getting, adjusted for inflation. If you wait until 66 and she was beyond full retirement age but hadn’t taken her retirement benefit yet when she passed, you’ll get her full retirement benefit, adjusted for the delayed retirement credit. But, if you take your own retirement benefit while also taking your survivors benefit, you’ll only get the larger of the two. So, by taking both benefits simultaneously, you can wipe out your survivors benefit entirely. What’s the smart move here? To take one benefit first and let the other grow. For example, Social Security benefit maximization software might show that taking your survivors benefit at 60 and your own retirement benefit at 70 is best. Or it might show that taking your own retirement benefit starting at 62 and your survivors benefit at full retirement age — 66 in your case — is best. Given the complexity of Social Security’s rules, what’s best for people in your situation depends on both their own earnings record and the size of the survivors benefit to which they are entitled. Marie — San Diego, Calif.: In my mid 70s. How to arrange my money so that it goes to two kids in “stages,” not all at once, when I die? Larry Kotlikoff: This question ventures beyond, Social Security, the usual compass of this column. But as I’ve devoted a fair portion of my career to retirement planning and the NewsHour’s Making Sense page has offered my free ESPlanner Basic software for years, I suppose I’m as qualified as anyone to answer your question. One approach is to buy your children simple, single-life, inflation-indexed annuities. Annuities will continue to make payments that will be adjusted for inflation throughout your children’s entire lives. Make sure you trust the insurance company. Better yet, buy from multiple companies to spread the risk that any given company might fold. Carolyn Weinzapfel — Wilmington, N.C.: My husband is 62 and just started collecting Social Security. I am 54. 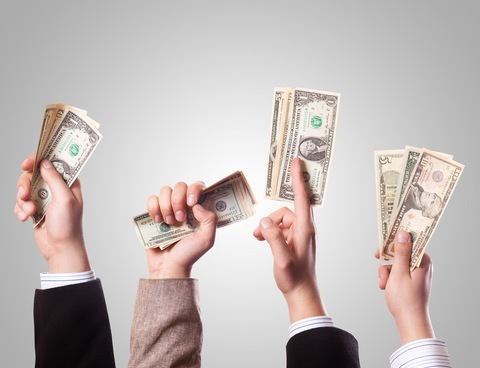 When I turn 66, can I collect a spousal benefit even though I make a lot more than my husband? His Social Security benefit is $1,572 a month. My projected Social Security benefit is $2,465 a month if I take it at 66 or $3,150 if I wait until 70. If I can get a spousal benefit, would it be half of what my husband would have received if he had waited to take his Social Security? I’m assuming — from reading some of your other answers — that I can’t do this at 62. Larry Kotlikoff: You are correct. If you wait until full retirement age, you can apply just for a spousal benefit and receive half of his full retirement benefit. Then at 70, you can apply for your own retirement benefit. Don B. — Northport, N.Y.: I started receiving reduced Social Security benefits at age 63 and 5 months. My wife stopped working this year, 2013, and will turn 63 in June. Is it better for her to apply for spousal benefits on my Social Security retirement benefit or to apply for her own reduced benefit? Thanks for your time. Larry Kotlikoff: Since you have already filed for your retirement benefit, if your wife applies for either a spousal or a retirement benefit before full retirement age, she’ll be deemed to be applying for both. In this case, she’ll get the sum of her own reduced retirement benefit and her reduced excess spousal benefit, which could be zero. The excess spousal benefit is the difference, if positive, between half of your full retirement benefit and 100 percent of her full retirement benefit. A better strategy may be for her to wait until full retirement age (66) to start collecting her full spousal benefit and then wait until age 70 to collect her retirement benefit, when it will start at its largest possible level, a strategy that I have urged again and again. A full spousal benefit is available for someone who hasn’t filed or been forced to file, via Social Security’s deeming provisions, for her retirement benefits. And the full spousal benefit is calculated as 50 percent of your full retirement benefit, so it’s clearly larger than the excess spousal benefit. Rosemarie Smith — Eugene, Ore.: My husband is 61 and receiving Social Security Disability Insurance (SSDI). I am 59 and working. How does SSDI work in terms of spousal benefits when I turn 62? 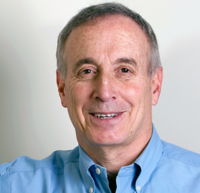 Larry Kotlikoff: When you turn 62, you can collect spousal benefits, but they will be reduced for every month you start collecting them prior to full retirement. Also, due to Social Security’s deeming provisions, you will be forced to apply early for your own retirement benefit, which will be permanently reduced. And because you are going to be forced to file for a retirement benefit, your spousal benefit will be calculated as an excess spousal benefit and then reduced because you are taking it early. The excess spousal benefit is the larger of A., the difference between half your husband’s disability insurance benefit and B., 100 percent of your full retirement benefit. So, I don’t think collecting at 62 is likely to be your best strategy. Software would likely suggest that you wait until full retirement age, take just your spousal benefit at that point, and then go for your full retirement benefit age 70, at which point it will start at an inflation-adjusted value that’s up to 76 percent larger than if you start it at 62. Also, your spousal benefit will be calculated as your full spousal benefit, which is half of your husband’s disability benefit. And there will be no reduction, since you are starting to take your spousal benefit at full retirement age. The reason that you get the full spousal benefit and not the excess spousal benefit under this strategy is that the excess spousal benefit formula is only used if you have filed or, via the deeming rules, been forced to file for your own retirement benefit.